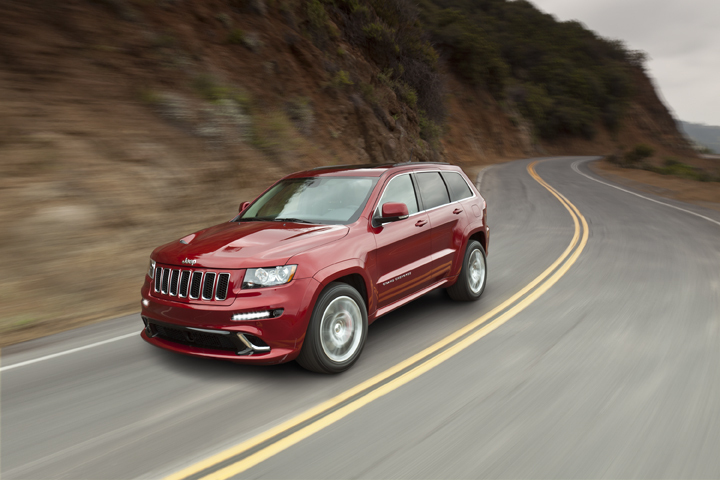 The SRT8WK2 boasts Chrysler’s 6.4L Hemi V8 putting out an estimated 465 horsepower, a 5spd automatic transmission, and a full time 4WD system with a gear ratio of 3.70:1 and a limited slip rear differential. 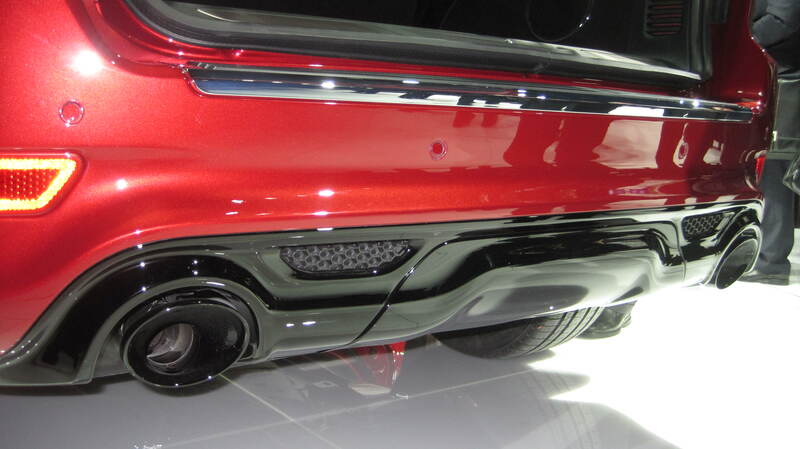 0-60 mph time is 4.8 seconds, and it is estimated to run the 1/4 mile in the under 14. The SRT gets more than just an engine upgrade – an exclusive version of the Select Terrain system’s selection knob sits in the center console for easy transitions between track, sport, auto, snow, and tow. 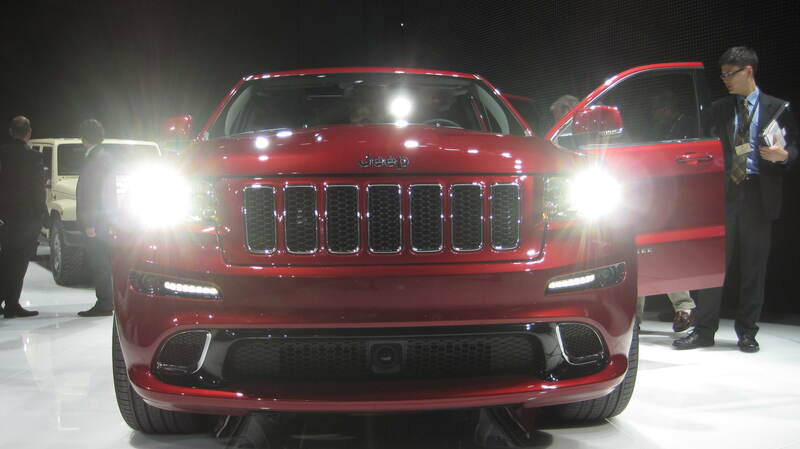 Yes, for the first time the Grand Cherokee SRT is rated to tow up to 5000lbs; partly thanks to the fact that Jeep redesigned the rear fascia and kept the dual exhaust exits to the corners, rather than in the center like previous SRT8s. The Grand Cherokee also gets a special flat bottom sport racing inspired steering wheel complete with paddle shifters for a manual gear shifting. 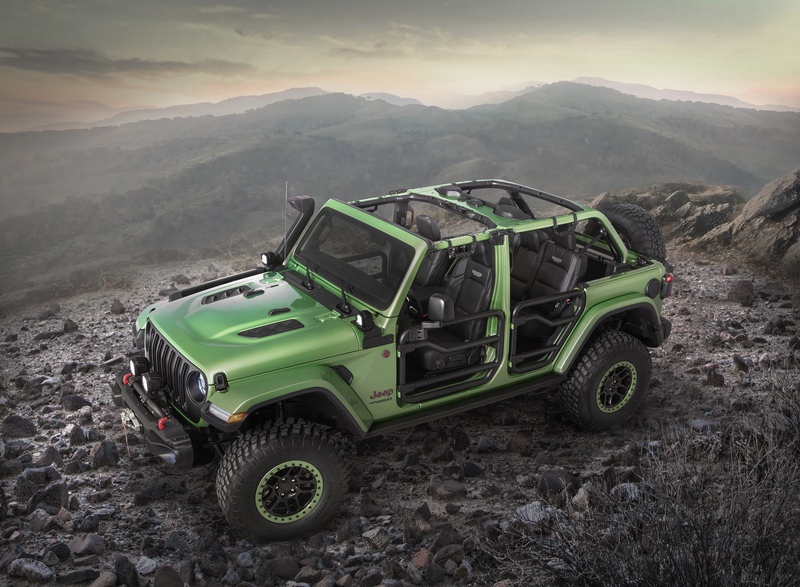 A cool feature that I hope makes its way over to the Wrangler line, and all Jeep platforms (in an off-road appropriate variant) is the SRT’s exclusive Performance Pages system. The vehicle’s internal computer gives real time driving statistics for steering input measurements, horsepower, torque, 0-60 mph time, 60-0 mph breaking time, g-forces, 1/8 and 1/4 mile track times, and expanded engine information. I’d love to see a Rubicon’s gauge cluster or touch screen monitor display engine torque, transmission temperature, vehicle pitch and tilt angles, and maybe even articulation specs. It would easily settle bets as to who took the more extreme angle on the trail. The SRT’s interior is something you really need to see and feel to grasp just how nice it is. The SRT embossed leather bucket seats feel like they’re hugging you – as if to welcome you back every time you sit down in the driver’s seat. 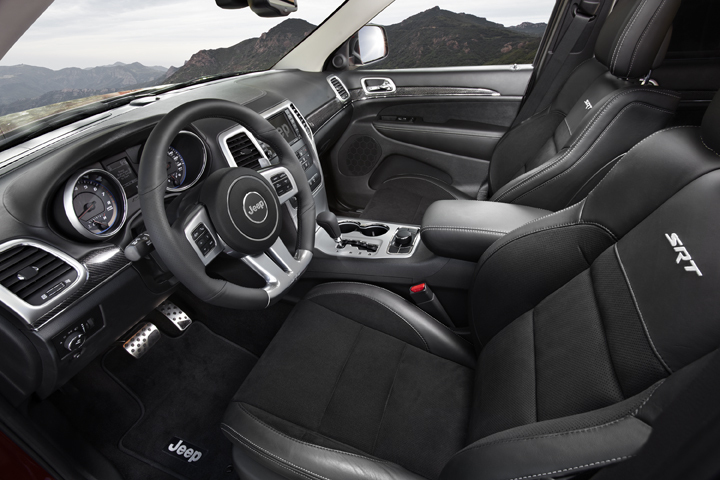 The interior, as a whole, really exemplifies Chrysler’s recent dedication to quality. Controls are at your fingertips without being cluttered, nothing is cheap, and all interior materials seemed superior to the high end Land Rovers I also sat in at the show. Paired with its new LED daytime running lights, hood scoop engine cooling vents, and an all around sporty exterior – the SRT made me smile… And I didn’t even get to drive it.